For the first time ever, Zestpics presents Photo Rakhi. Show your brother how much you care for him and love him. This Raksha Bandhan, send your brother a unique, one-of-a-kind Rakhi with your favorite photo on it. Make your brother feel completely out of this world with a customized photo Rakhi, the most unique Rakhi available anywhere in the world. Raksha Bandhan is a celebration of the love that binds sisters and their brothers. 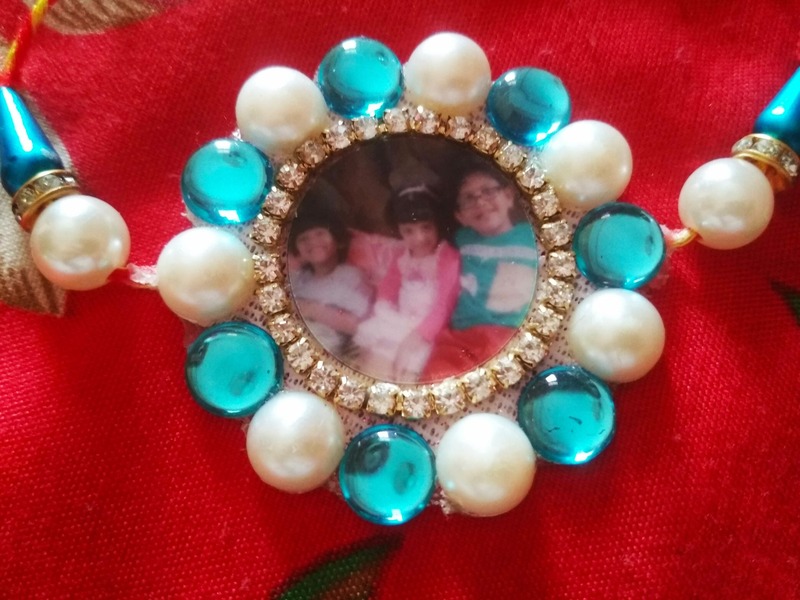 Celebrate this Raksha Bandhan with unique personalized photo Rakhi from Zestpics. Decorative Personalized Photo Rakhi with your beloved brother's photo in it makes a wonderful gift on the occasion of rakshabandhan. Create Custom Photo Rakhi with your photos, images & pictures. Amazing experience .Rakhis were adorable. I'm happy with the purchase. The rakhi was delivered timely and looked pretty decent. Will recommend it as a personalized gift for your bro. He liked it a lot.